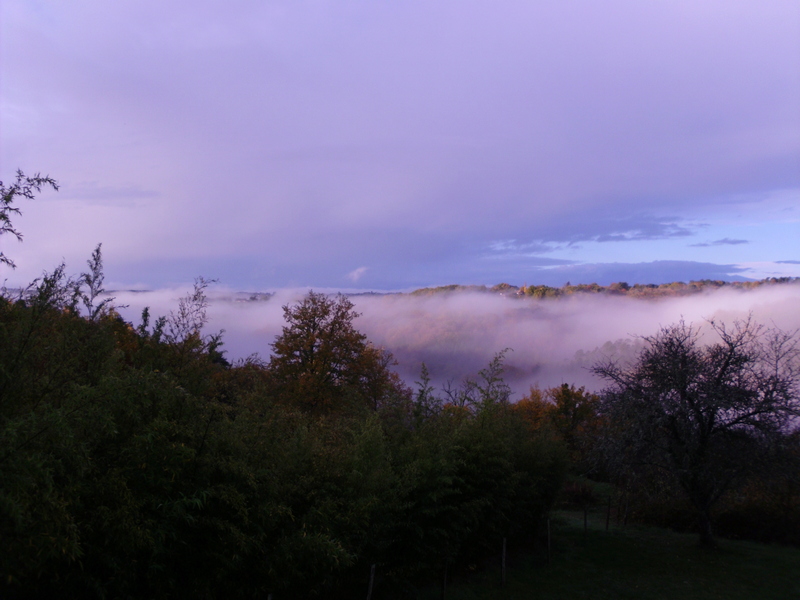 Saturday Mourning in Paris – "Aye…brilliant"
But beyond the mist and the fog here in my safe little corner of France, it was not the same. Last night in Paris, all hell had broken loose. Less than 500 kilometers from where I am, terrorists struck with bombs and semi-automatic rifles, killing almost 130 people (at last count) and injuring almost 200 more. Just a few hours north of me, people were reeling from the shock, their worlds in chaos, their lives shattered and forever changed by terror and fear. All in the name of the Islamic State. By now, all the world knows that Paris was struck by multiple terrorist attacks last night – 6 different places over the 10th and 11th arrondissments Two suicide bombings outside the Stade de France where a friendly soccer match between Germany and France was underway. Another detonated a bomb at a McDonalds close to the stadium, killing himself and one other person. Two more terrorists toting bombs and semi-automatic rifles stormed the Bataclan Concert Hall, shooting their way in and around inside the theatre, holding over 100 people hostage and killing many of them before detonating their own suicide bombs. Another gunman with a semi-automatics sauntered casually along a street close to a Cambodian restaurant and a local French restaurant, opening fire through the windows of one, killing people inside and out and then made his way across the street doing the same with the other restaurant. Since when does a Friday night concert, a simple meal shared with friends or an exhibition soccer game become the beginning of the end for so many unsuspecting souls? The media coverage filled my living room last night, giving up to date accounts as they were happening. Police, rescue personnel and the military trying to ascertain what was happening and rescue those injured and those still in danger. Numbers of casualties and possible injuries flashed across the screen. Film footage showing the chaos playing over and over again, only changing when newer bits could be added. Reporters trying to piece together snippets of information and other speaking with terrorist experts hoping to make some sense of what was unfolding. Screams. Shots. Flashing emergency lights. Sounds of running feet. Images of people pushing and scattering in an effort to find safe shelter. Helmeted police and military personnel in body armour holding firearms. Still others holding loved ones and even strangers, grasping at whatever thread of comfort they could find. Every face I saw mirrored the same expressions of unbelief and fear. 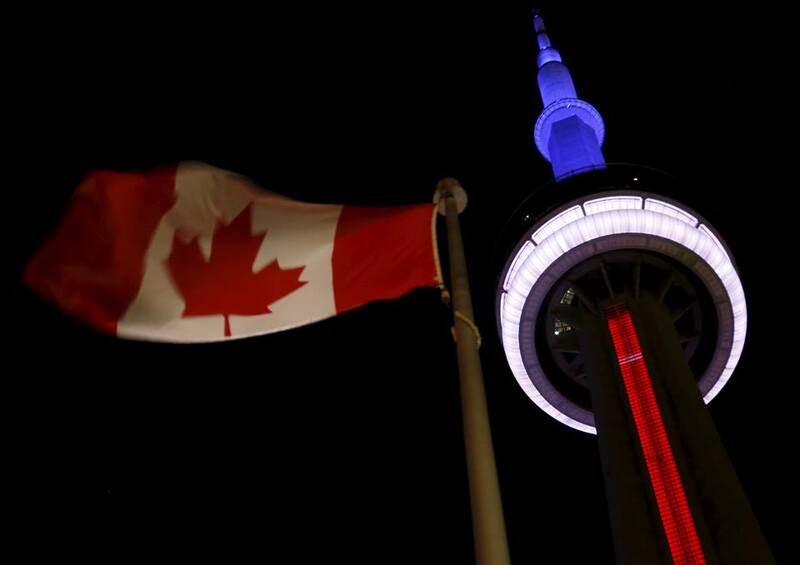 To this Canadian girl, it was September 11, 2001 all over again. It had the same unrealistic feel, the same shock factor. It was happening, but it wasn’t on my home soil. Then I was in Newfoundland watching events unfold on television. It was horrifying, but it was far, far away. This time was a bit different for me; I am living in France for a few months and these events were taking place in real time a mere car ride away from me. 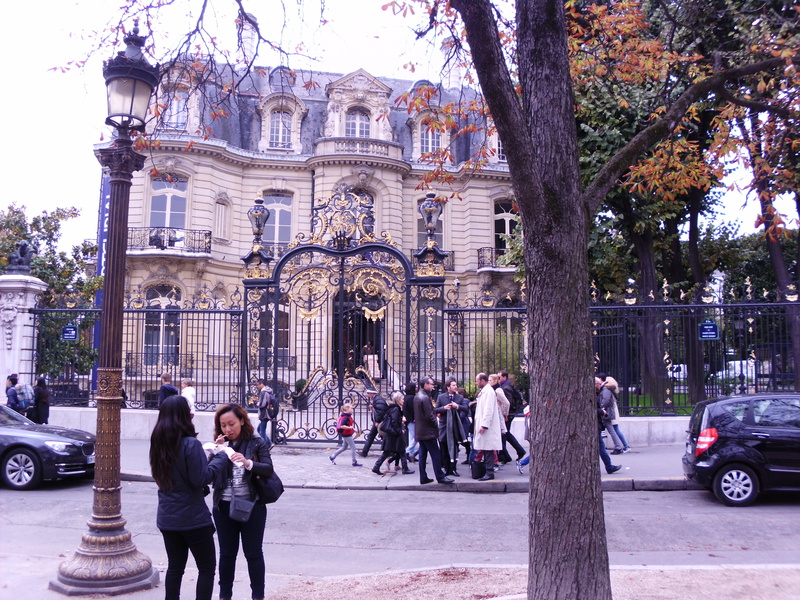 In fact, just a couple of weeks ago I was in Paris with my daughter Katie. We passed the Stade de France on the Metro. 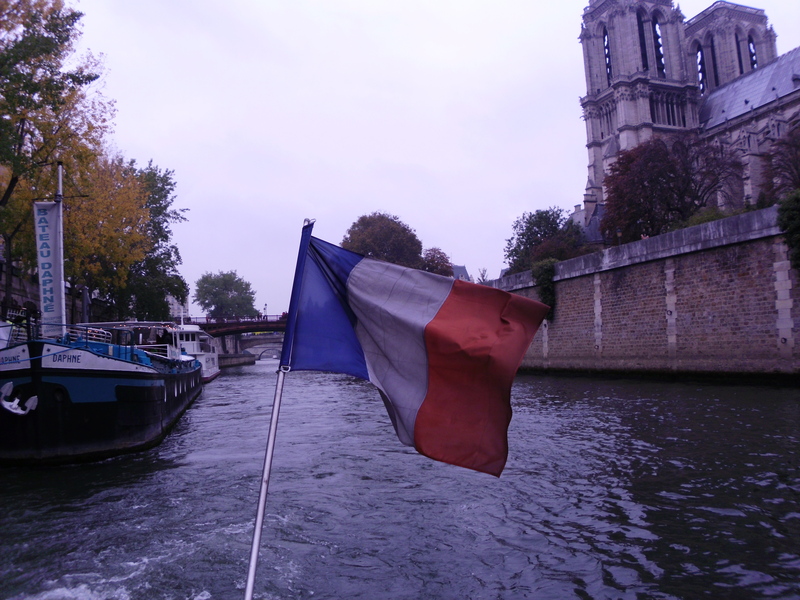 We had coffee and ate at restaurants along the Seine and near Notre Dame Cathedral. We gazed at window displays, ducking in and out of shops as we saw things that caught our eye. We smiled at people as we passed, saying “Pardon” and “Merci” as required, and I wonder this morning if anyone we passed or spoke with on those days had to go through the horror of last night. I wonder if there is anyone that we may have brushed alongside or sat next to on the Metro did not get a chance to see this mornings sunrise. Maybe the beautifully chic waitress at the Italian restaurant, or the dapper waiter at the tea house, or even the polite young man at the Nespresso store. Have they been touched in any way by this? It is too close for comfort. Surreal even. I’m finding it difficult to wrap my head around the reality of widespread fear and carnage and the pain and death resulting from it. The word terror takes on new and profound meaning knowing that it can be both physical and emotional and that it continues on long after the bombs have exploded and the bullets fired. It is pretty scary. I am Canadian and I am from Newfoundland, so I feel I have been doubly sheltered from the heartache much of the world has endured. Religious and political persecution is foreign to me. Terrorism and hate in the name of race, colour and creed is not a part of my life experience. When I am in St. John’s, I feel pretty comfortable in walking down the street even late at night. I know and trust my neighbours and co-workers, my doctor, mail carrier and oil delivery man. I have never been afraid to open up my door to an unexpected knock or walk alone to my car at the supermarket. I admit to leaving my keys in the front door lock and have a stranger walk by, knock on my door and advise me to bring them in. But I am not foolhardy and I am cautious, never knowingly putting myself in danger or jeopardizing my safety. But I do think that being Canadian has given me a sense of safety and freedom that much of the world does not have. Maybe I could even boil it down to a naiveté – meant in the nicest kind of way. But after last evening, I am not sure I will ever feel that way again. But I do know and recognize that I am truly lucky, truly blessed to be Canadian, and I’ve never been so proud of that fact. Paris woke up today in mourning. Mourning, once again, the loss of life, liberty and the pursuit of happiness – rights (according to Thomas Jefferson) intrinsic to all humanity. Paris has dealt with this too many times this year – one cannot forget the Charlie Hebdo shootings and the attack on the kosher supermarket back in January of this year. So many atrocities, so many lives lost or changed forever. Yet Parisians have pulled together, facing each day as a new beginning. Look at this mornings line ups to donate blood – they do what little bit they can. As I write, they are laying flowers and placing notes in memory of the victims of last nights tragedy. For all those who have queried our safety and whereabouts – thank you! We are safe and fine and have no worries at all where we are. I feel blessed beyond measure at your concern and care. And as Paris tries to drag itself out of the mire that again threatens to drag it down, I ask that you pray for those who have lost their lives and for those who’ve lost loved ones. Pray for healing for all who are fighting to stay alive and those who are recovering. Pray for peace of mind of those who have to get up every morning and face the day and try to regain the ordinariness of life. Pray for wisdom for those in charge of dealing with the aftermath and justice for the French people – this will not be easy for anyone. Pray for peace. Remember to never take your freedom for granted. Live each day to the full, show love to all who mean the world to you. Do not wait until tomorrow – be ever thankful for the goodness in the life you have at this very moment. The fog has finally lifted here and I can now see beyond the railings. I hear birds singing and watch as a leaf lets go it’s grip on the branch of the apple tree before dancing its way toward the ground. The sun shines over the hills and my view is much clearer and brighter. What is your view like? Posted on November 14, 2015 November 14, 2015 by jacquieharnettPosted in Life storiesTagged Canada, France, Happiness, life, Paris, St. John's, Terrorism, Travel. 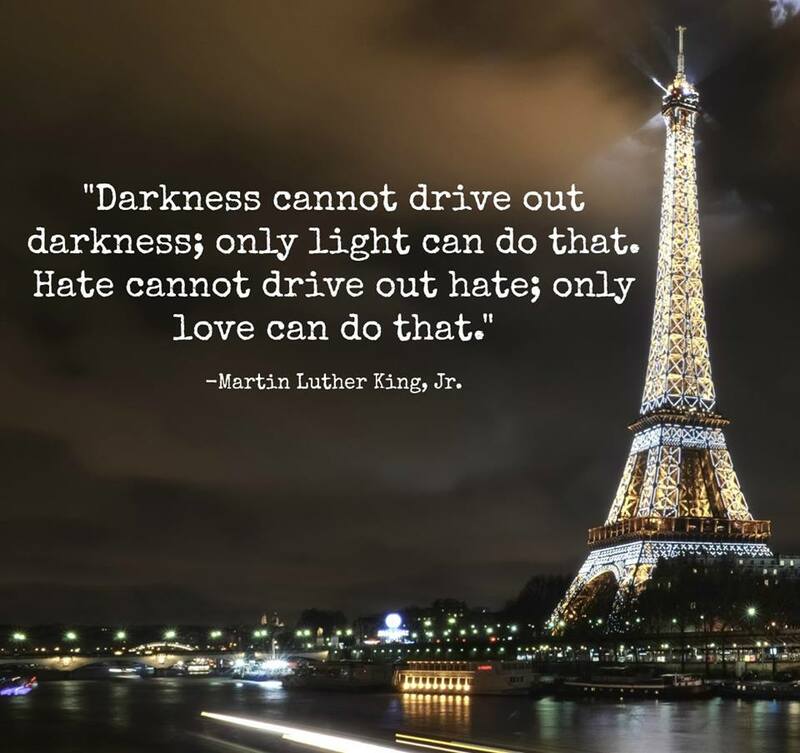 Pingback: Saturday Mourning in Paris | "Aye...brilliant"
Beautifully written – I just posted my support also… We are with the French in these troubled times… United we will prevail!